Having your house repossessed is incredibly stressful and something that you will want to avoid at all costs. In this article we look at what the repossession process looks like in the UK and how you can go about stopping repossession of your house. If you are in the process of being repossessed and are looking for a reliable fast cash sale then please contact us. We can connect you immediately with one of the UK’s leading cash property buyers who has a large cash investment fund and has helped many UK homeowners avoid repossession by buying their house for cash, really quickly! What is the house repossession process? 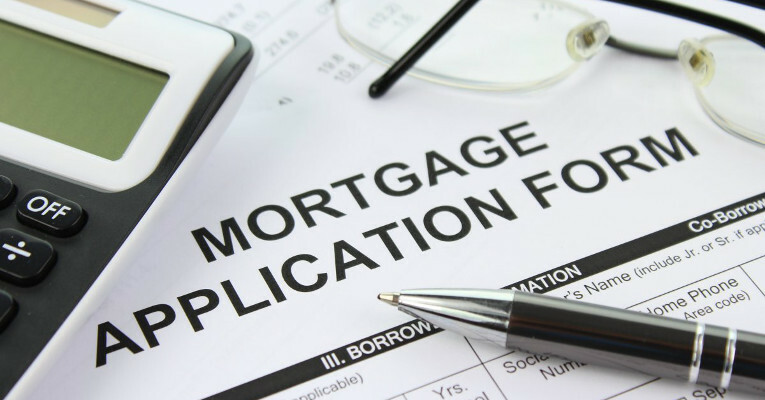 Once you have fallen behind in mortgage payments your lender will contact you to find out what your situation is and set out the options you have to make repayments. The lender needs to follow set rules and guidelines, called a pre-action protocol (which we discuss below). You will need to consider all your options and put together a repayment proposal for your lender’s consideration. If you fail to respond or the lender is not convinced that your repayment proposal will rectify the situation, then they will write to you again to let you know that they intend to start court proceedings to repossess your house. Lenders cannot repossess your home without court approval. To begin the process the lender will contact a local county court to set out the reasons why a judge should give the lender a possession order. The court will fix a date for a hearing. They will write to you using a claim form where they will tell you the date of the hearing and provide a defence form, which you need to complete and send back to them. We highly recommend contacting Shelter or use the Government’s Website for advisory support. If the judge decided that your property should be repossessed, he will issue a repossession order. This usually gives you 28 days to vacate the property, but could be less or more days depending on your circumstances. You may also be ordered to pay court costs. If you have not vacated the property by the date stipulated in the repossession order, bailiffs will be sent to remove you from the property. Your lender has to apply for a bailiff warrant and receive one before bailiffs can enter your property. The court may order you to pay for the bailiff’s costs. Once the lender has taken possession of your property they will try selling it via auction. During the sale period you will be liable for mortgage interest costs. Once sold the lender will pay off the loan (i.e. the money that they are owed). If there is any money left over after the loan has been repaid, the lender will return this to you. If there is a shortfall you may end up owing the lender money. How many months’ mortgage repayments do you need to miss before repossession proceedings begin? After you miss a mortgage repayment your lender will put you in a default payment status. We recommend contacting your lender before they contact you to explain your situation. You will likely be given 15 days grace to make the payment. Once you miss your second repayment you will receive a demand letter from the lender. You will have around 30 days to make repayments. After 90 days of no payments (typically 3 missed payments) you will get a notice of default, which will be placed on your front door. At this point the lender will hand over the loan to their foreclosure department and you will have another 90 days to resolve the arrears before the lender will approach the court to issue a repossession order. If, throughout this process you can’t find a agreeable repayment solution with your lender, you could look at selling your property, or indeed speak with a fast cash buyer. To get a quote from one of our recommended partners, complete this form. What rules do lenders need to follow before repossession? Lenders need to follow specific rules if they are to repossess your house. These rules are called pre-action protocol rules. In short lenders are legally obligated to treat you fairly and consider any reasonable suggestions you make to repay your arrears. The lender needs to give you a reasonable amount of time to repay your arrears (typically this is over 90 days) and needs to send you written warnings in the form of demand letters and default notices. They also need to send you information leaflets from the Financial Conduct Authority (FCA) on arrears and default, and from the National Homelessness Advice Service (NHAS) on mortgage arrears. We highly recommend that you remain as helpful and responsive throughout your communications with your lender. We recommend staying in regularly contact and do not ignore phone calls or letters. If you fail to communicate effectively with your lender it will not bode well for you if the case goes to court. The lender needs to consider any suggestions that you make for repayment seriously and if they reject your suggestions, they need to do so in writing within 10 working days to explain their reason. The lender should not start court action if you have made a claim under a mortgage payment protection policy and are likely to make payment or if you have applied for support for mortgage interest (SMI) or universal credit for help with mortgage costs and are likely to get a payment. The lender should also delay court proceedings if you are getting help from your local authority under the mortgage rescue or homeless prevention scheme, or if you can prove that your income is going to improve enough for you to make repayments. You can also delay repossession if you can prove that you will be selling your property by showing them proof, like an estate agencies listing with an Energy Performance Certificate record or surveyors report. Alternatively, if you plan to sell your house quickly and for cash then we can help. We have helped 100s of UK homeowners sell their house for cash to avoid repossession. What is the difference between an outright possession order and a suspended possession order? An outright possession order, often called an ‘order for possession’, gives your lender the legal right to own your home on a given date. Usually an outright possession order gives you 28 days after your court hearing to vacate your house. Depending on your circumstances an order of possession could give you fewer or more days than the standard 28-day threshold. If you haven’t vacated the property by the date stipulated by the court, your lender can ask the court to evict you and a bailiff warrant will be ordered. A suspended order allows you to stay in your house as long as you meet the conditions of the court. These conditions will be set out in the court order, but usually include paying your standard monthly mortgage instalments along with a fixed monthly amount to repay the arrears. If you have been issued an outright possession order it is usually too late to sell your property via standard estate agent routes; however a cash buyer may still be able to help you with a fast cash sale and renegotiations with the lender and courts. Please contact us to discuss. What are my best options if I am facing repossession? If you are having financial difficulties we recommend that you first contact your lender to discuss your situation and see whether you can work out a sensible repayment solution. If you are unable to work out a repayment solution with your lender, then we recommend contacting Shelter to take legal counsel. If you have exhausted the options available to you via the local council, SMI or through universal credit, and you are unlikely to resolve your financial situation, then you might want to look at selling your house and downsizing. Traditional estate agent routes will generally get you the best open market price, but can take many months to complete, especially if willing buyers are scarce and / or stuck in chains etc. An alternative solution is to sell your house to a cash buyer. This can provide a great solution if you need fast cash and want to get the best cash value for your property. However, you need to be careful on who you choose to deal with. There are many scammers in the market. Accelerate Homes have been helping UK Homeowners sell their house for cash for over 10 years. We are unique in that we partner with a select number of respected cash buying companies who all have access to significant cash funds, which means they are not depending on third party lenders or investors and can move really quickly to get you the best possible cash price for your house. Contact us today to get a quote – complete this form.